조선 선조 때 경상감사의 막하 참모였던 이탁영(1541∼1610)의 일기로 건(乾)·곤(坤)의 순서를 단 2권 2책으로 되어 있다. 이탁영은 임진왜란이 일어나자 순찰사였던 김수의 막하로 들어가 참모로 활동했으며, 1593년에는 학봉 김성일의 막하에서 전쟁의 여러 전술을 건의하여 승리에 공헌한 바가 많았다. 전쟁이 끝난 후에는 나라에서 내리는 상을 굳이 사양하였고, 후에 중추부사에 증직되었다. 이것은 1592∼1598년까지의 일기로 건권은 표지 뒷면에 임진왜란 당시 참전한 영상 이하 여러 관리들의 좌목(座目:자리의 차례를 적은 목록)이 있고, 다음에 ‘임진변생후일록’이라는 제목 아래에 그날그날 보고 듣고 겪은 일들을 적고 있다. 다만 임진기사는 날마다 기록하였고, 1593년에서 1598년까지는 연월중심으로 중요한 사건만 적었다. 곤권은 임진왜란의 시작과 하루하루의 기록, 통문 등을 기록하게 된 이유를 적고, 이어 7년 동안에 있었던 중요한 교서, 통문, 격문 등을 고스란히 싣고 있다. 1592년 4월 14일 임진왜란이 시작된 날로부터 시작하여 그해 연말까지는 약 10일간 기록하지 아니한 것을 제외하면 완전하게 적혀있다. 이 책은 임진왜란 연구의 매우 귀중한 사료로 평가되며, ‘정만록’이라는 책이름이 선조임금이 정해준 것이라는 점에서 자료로서의 가치가 더해진다. Jeongmallok is a diary of Yi Tak-yeong (1541-1610), a staff officer of the governor of Gyeongsang-do Province during the Joseon Period. He kept writing this diary – which consists of two books and two volumes -- from 1592 to 1598. Volume Geon has the list of government officials who took part in the battles of the Imjin War between Joseon and Japan. 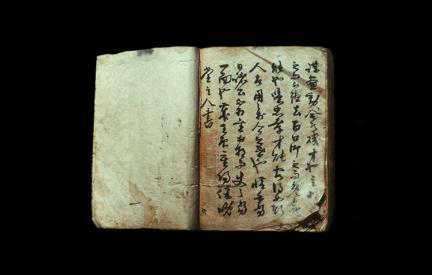 He also recorded the daily matters under the title Imjin byeonsaeng huillok (Daily Record of Imjin War). Only the records concerning the war between Japan and Joseon were written day by day; records from 1593 to 1598 dealt with important matters by months and years. 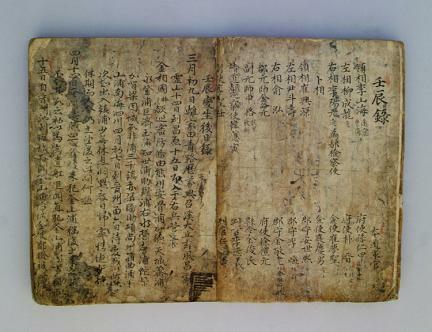 Volume Gon includes substantial contents of official documents such as royal edicts, circulating letters, and written appeals issued during the seven-year wartime. Except the records for ten days from the 14th day of the fourth lunar month of 1592, which was the day of the outbreak of the war, Jeongmallok has almost perfect records of the war. 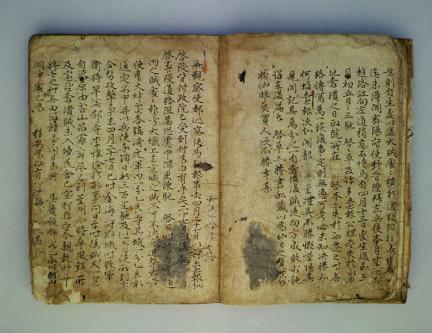 This is regarded as a valuable material for studying the war between Joseon and Japan during the late 16th century.